It all began when I woke up one morning aged 17 with optic neuritis. That’s like looking through a window smothered with Vaseline! Roll on a few years to 25. I woke up one morning, my balance went, I had extreme vertigo and I struggled to walk. Even though I felt pretty bad at the time, I was extremely conscientious and didn’t take a day off work. I juggled numerous hospital appointments at St Georges hospital in Tooting and learned to cope with injecting myself three times a week. My employer (at the time) began to question why I was having to go to so many hospital appointments. 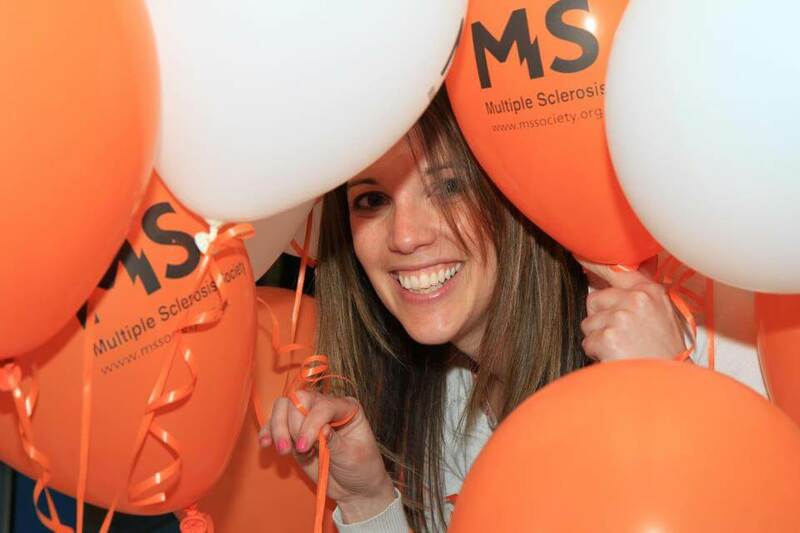 I felt embarrassed to say, “I have Multiple Sclerosis”. Although sympathetic, they still questioned why I had so many appointments and I had to present my appointment letters before they were ‘satisfied’. At a monthly catch up with my manager I explained how busy I was and went through all the tasks I was working on. The meeting then took an unexpected turn, when my manager said, “I’m afraid your role might be redundant”. I left the office in shock. I was an HR Manager at the time and knew what I had to do next. I fought my corner and won my battle! When you wake up one morning and many of your normal abilities disappear, I can tell you, it makes you appreciate everything in life and I make the most of it. I’ve raised over £25,000 for MS Society and have now set up my own foundation ‘Charlie’s Angels Foundation’ raising even further funds. I’ve met the most inspirational people who have now become great friends. I started Lloyd HR Consultancy in 2012 and am passionate about providing ‘HR from the Heart’. Treating people as I would expect to be treated myself and providing the right framework for employers to support and develop their staff. I hope my story has inspired you to look past the physical and health challenges that existing and potential employees might have and see the person for who they truly are.